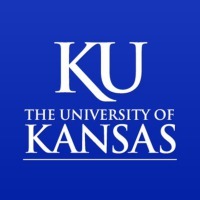 Review: The University of Kansas (often referred to as KU or just Kansas) is a public research university, and the largest university in the state of Kansas. KU Campuses are located in Lawrence, Wichita, Overland Park, and Kansas City, Kansas with the main campus being located in Lawrence on Mount Oread, the highest point in Lawrence. The University was opened in 1866, under a charter granted by the Kansas Legislature in 1864. It claims to be the flagship university of the state of Kansas (although there is no such official designation in Kansas). The University's Medical Center and Hospital are located in Kansas City, Kansas. The Edwards Campus is in Overland Park, Kansas in the Kansas City, Missouri metro area. 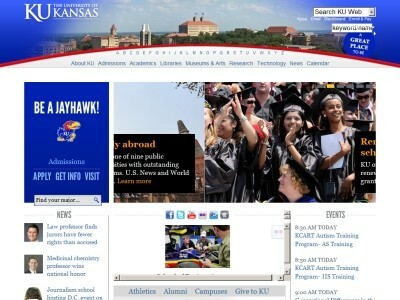 There are also educational/research sites in Parsons, Topeka and a branch of the University of Kansas School of Medicine in Wichita.Enrollment at the Lawrence and Edwards campuses at 26,826 students for the 2009В–2010 academic year; an additional 3,178 students were enrolled at the KU Medical Center for a total enrollment of 30,004 students across the three campuses. The Lawrence campus and KU Medical Center combined employ 2,460 faculty members. KU is home to the Robert J. Dole Institute of Politics, the Beach Center on Disability, and radio station KJHK and KANU FM, 91.5. The university is host to several notable museums including the University of Kansas Natural History Museum, the KU Museum of Anthropology, and the Spencer Museum of Art.The libraries of the University include the Kenneth Spencer Research Library which commemorates the businessman Kenneth A. Spencer, an alumnus of the University. The University is one of 63 members of the Association of American Universities. Location & access map for "University of Kansas"